Description: ARCH Disability Law Centre is a specialty community legal clinic dedicated to the equality rights of persons with disabilities in Ontario. Eligibility: ARCH provides legal representation to people with disabilities whose cases meet the priorities set by ARCHs Board of Directors and who meet Legal Aid Ontarios financial eligibility guidelines. Application: Call to speak with an Information and Referral Worker. Description: Assistive Devices Program (ADP) aims to provide consumer centred support and funding to Ontario residents who have long-term physical disabilities and to provide access to personalized assistive devices appropriate for the individuals basic needs. This program is offered by the Ministry of Health and Long-Term Care. Eligibility: Ontario resident who has a valid Ontario Health card issued in their name and has a physical disability of six months or longer. Referral: Initial access is often through a medical specialist or general practitioner who provides a diagnosis. In most device categories, an authorizer assesses the specific needs of the person and prescribes appropriate equipment or supplies. Fee: ADP pays up to 75% of the cost of equipment. In most cases, the client pays a share of the cost at time of purchase and the vendor bills ADP the balance. Application: Contact the ADP office. Description: The Bell Relay service (BRS) supports communication by phone between hearing people and people who are deaf, deafened, hard of hearing, or those with speech disabilities. Professionally trained operators act as intermediaries to facilitate the call. Bell Relay operators are available 24 hours a day, 7 days a week. Eligibility: Individuals with or without a hearing, speech, visual or physical disability. Fee: There is no charge for using the Bell Relay service to place local calls. Long distance calls are billed to the number you are calling from at a reduced rate. Description: The program provides training in literacy and basic skills for deaf, deafened and hard of hearing adults (16 years and older) with limited English or American Sign Language (ASL). Opportunities include learning to lead independent lives and learning numeracy. Eligibility: Deaf, deafened and hard of hearing adults who are 16 years or older and have limited English and ASL. Referral: Depends on the program; in some cases, self-referral is acceptable. Please contact organization for more information. Fee: Certain services require a fee. Please contact organization for more information. 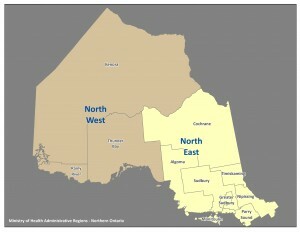 Description: The Child Development Centre (CDC) is one of twenty Children's Treatment Centres in Ontario. The CDC provides services for children and youth who have neurological/physical/developmental disabilities or impairments. Eligibility: Children and youth (aged 0-18) with physical and/or developmental disabilities. Referral: Most services require a physician or nurse practitioner referral. Description: CNIB is a registered charity, passionately providing community-based support, knowledge and a national voice to ensure Canadians who are blind or partially sighted have the confidence, skills and opportunities to fully participate in life.CNIB scholarships will be awarded to Canadian students who are blind or partially sighted for the purpose of attending a Canadian post-secondary institution. Eligibility: Canadians living with vision loss. Referral: Any source, including self-referral. Application: Contact the District Office nearest you. Description: EmpAcc is a one-stop employment service for all persons with disabilities who wish to access assistance in preparing for, obtaining and maintaining competitive employment. Eligibility: All persons with disabilities who wish to access assistance in preparing for, obtaining and maintaining competitive employment. Description: Corbrook is a community-based service organization that has been making an important contribution to the lives of people with physical and developmental disabilities and their families for more than 60 years. They embrace a person-directed philosophy and approach, supporting people to make informed decisions and personal choices that will help them achieve their goals. Eligibility: Adults aged 18-60 with a developmental disability. Day respite is for youth 14-18 years. Fee: For eligible individuals, no fees will be required. Some service are offered on a fee-for-service basis. Description: Developmental Services Ontario helps adults with developmental disabilities connect to services and supports in their communities. There are nine agencies located across Ontario. This service is administered by Ministry of Children and Youth Services. Eligibility: Adults with a developmental disability. Documentation confirming age, Ontario residency, and a psychological assessment is required. Referral: Referral from caregivers or healthcare providers. Application: In the first meeting, Developmental Services Ontario staff will help the person with a developmental disability and their caregiver(s) to complete the Application for Developmental Services and Supports. Description: Easter Seals Ontario provides programs and services to children and youth with physical disabilities across Ontario to help them achieve greater independence, accessibility and integration. Easter Seals Ontario also administers the Incontinence Supplies Grant Program for the Ministry of Health and Long-Term Care. Eligibility: Under the age of 19 years, is a legal resident of Ontario, has a long-term physical disability that restricts independent mobility and has an impact on performing daily living activities. The child must be using a mobility device such as a walker or wheelchair to be mobile. Referral: Self, but one section of the application must be filled out by the childs Occupational Therapist, Physiotherapist or Physician. Application: The registration application form can be found online. Description: Epilepsy Toronto is the place where Torontonians living with epilepsy can learn more about their condition, get the help they need and be a part of a family of caring and supporting people. Eligibility: People living with, or have an interest in epilepsy. May have other medical conditions in addition to epilepsy. Hours: Monday to Friday, 8:30-4:30 pm. Application: Please. An assessment for counseling is usually required. Description: ErinoakKids provides a comprehensive range of family-centred treatment, rehabilitation and support services to children with disabilities and their families who reside in Dufferin, Halton, Peel, Waterloo and Wellington - the Ministry of Children and Youth Services (MCYS) Central West Region of Ontario. The Ontario government funds the mandatory services offered at ErinoakKids through its Ministry of Children and Youth Services. Eligibility: Children and youth (up to age 19) with multiple disabilities, complex disorders and speech delay living in Halton, Peel and, in some cases, Waterloo, Wellington and Dufferin. Referral: Health professionals, families or self-referral. Hours: Varies according to program in action. Application: After the referral is made, the appropriate services required are identified and the applicant is notified afterwards. Description: Gage Transition to Independent Living offers a community setting in uptown Toronto for people with disabilities to learn and practice independent living skills. Clients are selected for either a six or maximum 18-month transitional program. Clients are provided with a one-bedroom apartment, access to on-site attendant services (24-hour) and health and life skills education. Eligibility: Age 18 and older; Has a physical disability and requires attendant services for personal care; Is medically stable (needs must be met by family doctor, local health services including CCAC and not at risk for frequent hospitalization); Must be eligible for subsidized housing; Has a desire to learn independent living skills; Has the cognitive ability to learn and manage independent living skills esp. directing own care, health and financial management; Able to participate in ongoing program education sessions; Able to return to the community with established discharge supports. Fee: Yes. Clients are responsible for furnishing apartment, subsidized rent and regular living expenses. Description: Hutton House promotes and supports persons with disabilities through learning and life enhancing programs that focus on each individual's strengths, abilities and interests. Eligibility: Persons with any type of disability are welcome to apply such as persons with physical, mental health, intellectual and learning disabilities. Some programs have specific eligibility criteria. Description: JVS Toronto plays a vital role in Toronto and York Region ensuring that jobseekers reach their potential at work, employers build the workforce they need to be successful, and students perform at their best. Eligibility: Varies on program.For the Youth Job Link you must be between the ages of 15  29, a resident of Ontario and eligible to work in Ontario. Application: Call the office for an assessment and intake. Description: Link Up Employment Services for Persons with Disabilities is a charitable, not-for-profit employment services agency with a head office situated in Woodbridge, Ontario. This program is funded by the Government of Canada. Eligibility: Self-declare to have a disability; Be between 18 and 65 years of age; Be unemployed or underemployed; Be legally entitled to work in Canada; Not on Employment Insurance (EI) or Reachback Status. (Reachback indicates any individual who has received EI benefits within the past 36 months, in the event of Maternity and/or Parental benefits, within the past 60 months). Application: You may apply for Link Up programs and services by telephone/TTY or walking in. Description: Lions Foundation of Canada trains Dog Guides and assist Canadians with a wide range of disabilities. With six programs in place, Canadians with disabilities are offered the opportunity to find greater independence, mobility and safety through the help of a Dog Guide. Dog guide programs include: Hearing Ear, Canine Vision, Autism Assistance, Service (physical disability), Seizure Response (epilepsy) and Diabetic Alert. Programs are provided for those who are visually impaired, hard of hearing and/or have type 1 diabetes with hypoglycaemic unawareness. Clients and dog guides train at the Oakville facility for two to four weeks. Eligibility: Age of applicants various for program. Canine Vision Dog Guides: at least 12 years old.Hearing Ear Dog Guides: 10 years of age or older.Autism Assistance Dog Guides: children aged 3 to 12 years of ageService Dog Guides: 10 years of age or older.Seizure Response: 6 years of age or older. Diabetic Alert Dog Guides: 10 years of age or older. Application: Applications are available online. Description: CDRP provides services to children who have neurological or developmental issues or concerns, in the Hamilton Region, up to age 19. Eligibility: Children with physical, developmental and/or communicative disabilities under the age of 19 years old. Description: March of Dimes is a community-based rehabilitation and advocacy charity for people with physical disabilities. Their goal is to enhance the independence and community participation of people with physical disabilities every day through a wide range of programs and services across the country. 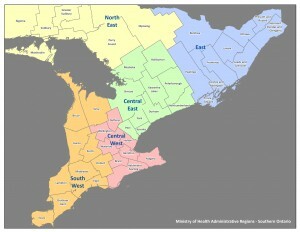 Eligibility: People in Ontario living with physical disabilities. Referral: Depends on service requested. Fee: Varies with service requested. Application: Most application forms are available online. Description: OCTC works with children and youth with physical and/or developmental disabilities living in Eastern Ontario who are striving to reach their full potential. Through a variety of bilingual programs and services, OCTC's professional staff work closely with the child and their family across sites in Eastern Ontario to deliver high quality, family-centered service. Services offered include: recreation opportunities for children and youth with special needs, providing out-of-home respite options, helping families access technology to meet their child's needs and more. Eligibility: Children with physical, developmental and/or communicative disabilities under the age of 19 years old. May vary with service. Referral: Referrals by Families, Physicians, Professionals (such as Allied Health Care Providers or Educators), Other Agencies or Community Partners. Staffing: Behaviour consultants, dieticians, early childhood consultants, early childhood educators, family resource workers, liaison teachers, nurses, occupational therapists, psychologists, physicians, physiotherapists, recreation therapists, social workers and speech-language pathologists. Application: Once you have an idea of which programs or services might best meet your needs, call or email to register. Description: The Ottawa-Carleton Association for Persons with Developmental Disabilities' (OCAPDD) supports the community integration and personal well-being of children and adults with developmental disabilities within the Regional Municipality of Ottawa-Carleton. OCAPDD provides support to hundreds of persons with developmental disabilities, in every aspect of life whether seeking work opportunities, securing living arrangements or dealing with day-to-day tasks. Eligibility: Individuals wishing to receive support from OCAPDD must have a developmental disability and be residents of Ontario with priority given to those persons who are currently or were originally residents of Ottawa-Carleton. Referral: Referrals to OCAPDD are made through a central point of access at Developmental Services Ontario Eastern Ontario. Staffing: Registered nurse consultants, expertly trained, hard-working and dedicated full-time and part-time staff, families and volunteers. Fee: Yes, varies with service type. Description: A not-for-profit, charitable organization that provides a coordinated, individualized service to people who experience job barriers in order to ensure access to fully integrated employment opportunities within Huron and Perth Counties. Eligibility: Diagnosed physical or developmental disability, unemployed or working less than 20 hours a week. Description: This Government of Canada webpage allows for convenient access of online applications for a variety of services and financial benefits to assist people with disabilities and their families. Eligibility: Generally, Canadians with disabilities, their family members and caregivers. Eligibility may vary with type of benefit requested. Application: Varies with type of benefit. Description: A web-based course designed specifically to target and address areas that research has shown are problematic for students with learning disabilities as they make the transition to post-secondary education. This course provides students with strategies to be better prepared for post-secondary education, and to better deal with the increased demands of workload and self-advocacy required at this level. Eligibility: To be eligible for the OLTS program, students must: be identified/diagnosed with a learning disability, ADHD and/or ASD, be in Grade11 or 12, plan to attend college or university and have daily access to a computer and the internet . Staffing: Trained teacher candidates at Queen's Faculty of Education, and supervised by staff at the Regional Assessment and Resource Centre. Application: Register online in the Fall. Description: Queen's Student Accessibility Services (QSAS) works with other members of the Queens community to ensure the university and its programs are accessible to students with disabilities.Their goal is to support students' successful transition to university and to help ensure academic and personal success at Queen's. Referral: Documentation from health care practitioner or other professional who is licensed to diagnose and treat the student's disability or health condition. Application: Apply using an online self-registration service. Description: SafeAbility offers employers, job seekers, workers with disabilities or injuries and the community with an inclusive health and safety training and awareness program. The program provides accessible and current information on occupational health and safety (OH & S) and addresses the rights and responsibilities for workers with disabilities and injuries. Eligibility: For employers, workers with disabilities and service providers. Description: Skills Link is a Government of Canada program that helps youth facing barriers to employment obtain the knowledge to develop a broad range of skills and work experience they need to participate in the job market. Skills Link accomplishes this by providing funding for employers and organizations to offer eligible activities to youth facing barriers to employment. Eligibility: To participate in Skills Link, youth must be between the ages of 15 and 30 (inclusive) at the time of intake/selection, Canadian citizens, permanent residents, or persons who have been granted refugee status in Canada, legally entitled to work according to the relevant provincial/territorial legislation and regulations, not in receipt of Employment Insurance (EI) benefits and in need of assistance to overcome employment barriers. Application: Participants are recruited by funding recipients. Description: SOAR is a curriculum support program for students in grades 7-8 with learning disabilities. The program provides students with the opportunity to learn and talk about learning and learning disabilities, study skills and strategies for success, making choices and choosing paths, and developing self-advocacy skills. Eligibility: Grades 6-9 students with learning disabilities. Application: Register over the phone. Description: SNOW is a project that aims to provide information online and through workshops for educators, parents and students with disabilities on technologies for learning both in and out of the classroom as well as promote understanding of inclusive practices. Eligibility: Students with special needs, their parents and educators. Description: This program, offered by the Ontario Ministry of Community and Social Services, helps families with children who have a developmental or physical disability pay for special services in or outside the family home such as hiring professionals to help the child learn new skills and abilities, and provide respite support to the family. Eligibility: Children with a developmental or physical disability (or their families) can apply for this money if they live in Ontario, need more support than most families can provide, are living at home with their family, or if they are not living at home with their family and are not being helped by other residential services. Referral: Medical specialist or general practitioner must provide a diagnosis. Application: Mail the completed application form (available online) and the attached medical statement or psychological assessment outlining the disability and extent of financial need to your nearest regional office. Description: Thames Valley Children's Centre (TVCC) works to help children and their families achieve the highest possible quality of life. TVCC focuses on the development of physical, social, emotional, communication, behavioural and life skills, and provides information, education and support to children, youth, families and the community to promote inclusive opportunities and relationships. TVCC offers a wide range of services for children and youth such as Occupational Therapy, Acute Pediatric Rehabilitation Services, Recreation Therapy and much more. Eligibility: Children with physical, developmental and/or communication needs between the ages of 0 to 19 years old, and their parents/caregivers. Referral: Although anyone can make a referral, some services have specific referral criteria. Please contact organization. Application: You can make a request for service by calling, mailing or faxing. Description: The Al Green Resource Centre is a fully accessible facility that specializes in employment, training and volunteer opportunities for individuals with developmental or learning disabilities. Various programs that can help develop work, social and life skills are also offered. Eligibility: Individuals with learning or developmental disabilities. Referral: Certain services require a referral and/or application. Please contact organization for more information. Application: Certain services require a referral and/or application. Please contact organization for more information. Description: The Childrens Treatment Centre of Chatham-Kent (CTC-CK) provides specialized services for children and youth, from birth through to 18 years, with physical, developmental or communication needs. Eligibility: Children with doagnosed physical or developmental disability. Referral: Yes, varies with service. Description: The Toronto District School Board is committed to make facilities fully accessible to students, families, staff and communities, and provide specialized and intensive programs equitably across the District for students with unique strengths and needs. Please contact your home school for more information. Eligibility: Students who have behavioural, communicational, intellectual, physical or multiple exceptionalities. Referral: Parents/Guardians or the school principal mayrequest an Identification, Placement, and Review Committee (IPRC) meeting. When a request is made, the principal completes the IPRC referral. Application: Contact school to discuss appropriate support required. Principal will set up meeting of IPRC. Description: For over 65 years, Variety Village has strived to improve the quality of life and integration into society of all people, regardless of their abilities. By offering specialized programs and services such as integrated sports and life skills programs, they create a level playing field without barriers, intimidation or other obstacles. Eligibility: People of all abilities. For programs, registrants must meet the specified minimum age of the program within three weeks of program start. Fee: Membership and program fees vary. Application: Visit Variety Village to register for a membership. Register for programs online, in person, by phone or fax.